Over 250 participants, protagonists of the European hospitality industry from 22 countries (20 European countries plus UAE and USA) attended this two-day meeting themed “Welcome to the future!”. The opening day started with the General Assembly of the members dedicated to the institutional moments of EHMA and the President’s election. Ezio A. Indiani., GM of the Hotel Principe di Savoia in Milan and National Delegate EHMA Italy since 2010, was elected President of the European Hotel Managers Association for a three-year term, from 2019 to 2021. The first Vice President, Verena Radlgruber-Forstinger, is General Manager of the Radisson Bly Style Vienna. Member of EHMA since 2005 and first Vice President since 2016. The second Vice President, Panagiotis (Panos) Almyrantis, is General Manager of the Daios Cove Luxury Resort & Villas in the island of Crete. Member of EHMA since 2006. At the same time of the General Assembly, the Young EHMA Group (made up of young hoteliers, presented by the different EHMA Chapters) joined a working session led by Ian Millar of the École Hôtelière de Lausanne. The Educational Day of February 16th focused on the issues that will affect the future of the hotel industry in terms of leadership, technology, F&B, marketing and market trends. These issues were outlined by passionate experts through inspiring and interactive presentations. The first key note speaker, Ilja Grzeskowitz, introduced the theme of change. He stressed to need to create a corporate culture of change based on innovation, flexibility and the courage to experiment with new processes and projects. Then, the motivations of “Millennials” for choosing a hotel were presented by three MBA students at INSEAD. Cleaning and hygiene technologies, as part of a vital factor of success for a hotel were introduced by Somer Gundogdu, Diversey President Professional EMEA. The need to cultivate "mindfulness" to benefit from its positive effects on creativity and decision-making processes were illustrated by Yves Givel, Vice President HR Hyatt International. The latest restaurant trends and changing mindset around food were reported by Hans Steenberger. who co-founded Food Inspiration Magazine. The potential of gastronomy as a tourist attraction was also illustrated by Claus Meyer, co-founder of the Copenhagen-based restaurant Noma and a signatory with 11 other visionary chefs of the New Nordic Kitchen Manifesto. A visionary future not so far away has been the topic introduced by Märtha Rehnberg, economist and consultant of the European Community for technologies. To end the presentations Monica Moser and Tristan Auer of Wilson & Associates exposed the latest developments and current trends in architecture and interior decorating. The Valueable network project was mentioned by EHMA member, Palmiro Noschese, Managing Director Italy Meliá Hotels International. EHMA has become partner of the Valueable network, a European project co-funded by the European Commission and promoted by the Italian Association of Persons with Down Syndrome that operates in six different countries (Italy, Germany, Portugal, Spain, Hungary and Turkey) to promote labour-market inclusion of people with intellectual disabilities through targeted placements in the hospitality industry. During the gala dinner at InterContinental Paris – Le Grand, two prestigious awards were presented: Patrick Recasens, GM Pullman Timi Ama Sardegna, was elected European Hotel Manager of the Year 2018 while Frédéric Darnet, GM of the Monte-Carlo Bay Hotel & Resort, is the winner of the EHMA Sustainability Award by Diversey 2019. A partial or total copy or reproduction of our articles in any forms or by any means is strictly prohibited without our prior written consent. This would constitute a copyright infringement sanctioned by articles L.335-2 et seq. of the French intellectual property code. 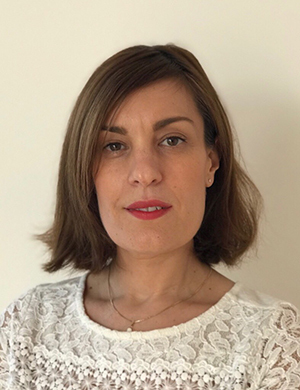 Specialized in communication and recruitment, Anne-Laure participates, since January 2018, in the development of Journal des Palaces by being attentive to the specifics needs of the recruiters and partners whether it is in the implementation of events or custom-made tools or services. Anne-Laure also writes articles for the Career section.